"""This function just returns what it's given.""" Here, I am using a fixed input of “foo” as many people like to do in tests as a way of saying “this value is irrelevant”. The bug should be obvious here — the test passes when it should not because the code under test is returning the same value as used in the test. As I say a fairly contrived example, but it illustrates the point that tests should never assume anything about code under test. Here, we’re generating a random input and asserting that the returned value is the same as the input. This not only avoids the bug above but it is far better at demonstrating test intent. It will also never fail unless the code under test is buggy, and that brings me back to the point above about random vs spurious test failures. A random test failure is good. It means you found a bug! 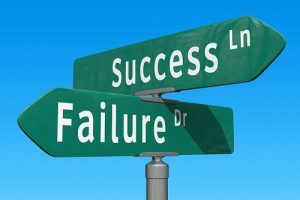 A spurious test failure is one that indicates you’re not testing properly – an example of this is where you depend on some network connectivity to complete your test; as networks are inherently unreliable this is a bad test and will create spurious test failures when the network fails. This entry was posted in tech and tagged python, testing. Bookmark the permalink.